At Franciscan Media, we see unmistakable evidence of the ongoing popularity of the saints of the Church. 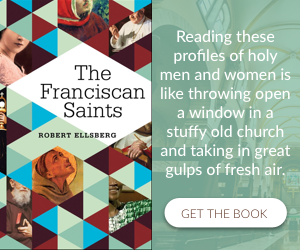 We know from the response of our readers and buyers, as well as from our website visitors, that books and articles and online features about the saints have high appeal for Christians today. Yes, we know that Jesus Christ—together with God the Father and the Holy Spirit—must be the center of our focus and longing and spirituality. Yes, we know that Jesus is both human and divine, and that because of his humanity we can relate to him in a very special way—and we do. But we also need other flesh-and-blood human companions (who, like us, are not endowed with a divine nature) to show us how to imitate and embrace Christ and his kind of holiness and union with God. I think it’s this need that helps explain the popularity of saints during all ages of the Church’s history. We need human models, alive in the Spirit, who embody in their lives the one perfect model, Jesus Christ, the “image of the invisible God” (Colossians 1:15). How does a person become a Catholic saint? First of all, one becomes a saint by imitating Jesus. When the Church declares someone a saint, the Church is saying we are sure, beyond doubt, that this person was holy on earth and is now in the presence of God. We add this person’s name to the canon, or list, of known saints. Hence the word canonization, a process that became formal during Christianity’s second millennium. The process of canonization has changed since it was instituted in the 10th century. Pope John Paul II (1920–2005) updated the process in 1983 by eliminating the “devil’s advocate” from the review process and modifying the requirements for miracles, among other changes. In most cases, supporters must wait five years after a person’s death before mounting a campaign in favor of sainthood. This permits a more objective look at the candidate’s life. (Pope John Paul II waived this rule in the case of Mother Teresa.) After the waiting period, the local bishop looks for examples of “heroic virtue” in the person’s life. Theologians and cardinals associated with the Congregation for Cause of Saints reviews that evidence and, with their approval, the candidate receives the title of Venerable. Beatification comes next. To be beatified, the person in question must be credited with a miracle that occurred after his or her death, and the Vatican must confirm the miracle. Martyrs are exempted from the requirement of a miracle. A second posthumous miracle is required for formal sainthood. 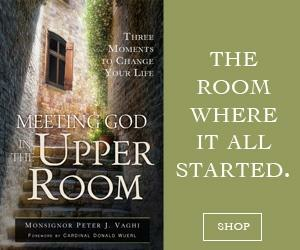 These miracles are evidence that the saint is in the presence of God. When did the first formal canonization take place? Ever heard of Saint Ulrich, bishop of Augsburg, Germany? Canonized in the year 993, he is the first person for whom we have a record of canonization. In the Church’s early centuries, the vox populi (voice of the people) declared someone a saint, and canonizations were done on the diocesan or regional level. Relatively soon after very holy people died, the local Church affirmed that they could be liturgically celebrated as saints. This is the case with many popular saints such as Saint Patrick and Saint Nicholas. Since the 13th century, the beatification-canonization process has included a formal investigation to see if the person’s life is indeed worthy of imitation. Now it often takes centuries for the Church to beatify or canonize people. And what about the practice of praying to the saints or asking their intercession for our personal or communal needs? Is it okay to pray for healing for ourselves or others, or to seek solutions through them for our problems or for those of our families and so forth? Well, I believe it was clear in the Vatican II document quoted above that we are encouraged to call upon the saints and ask their aid in interceding before God for the things we need. I once interviewed an outstanding Episcopalian artist for an article I was preparing for St. Anthony Messenger. This Dallas-based painter and sculptor has gained national notice and success in creating artworks of well-known Christian saints, a number of which were commissioned by Roman Catholic parishes or dioceses. Knowing that some outside the Roman Catholic community question the practice among Catholics of praying to the saints, I asked him if he personally believed in praying to the saints. Without blinking an eye, he replied: “We often ask our friends who are still alive on this earth to pray for us. Why shouldn’t we ask our good brothers and sisters who have died and are in the presence of God to pray for us?” I was greatly encouraged by the words and outlook of this devout Christian artist. May we find increased hope in the friendship and loving support we share with the vast community of saints who have lived and struggled before us. At this moment when the world desperately needs peace, we ask the great multitude of saints to intercede with us before our loving God for this great gift, which the world by itself cannot achieve. With God’s help through the intercession of the saints, may our world be set free from war, violence and terrorism. May the God of peace enlighten those of us preparing to vote that we may choose the best possible leaders to find the way out of this nightmare of bloodshed and hate as well as other forms of insensitivity toward human life. And, with God’s help, may we all work together to bring about a more peaceful and loving world. Amen. Jack Wintz, OFM, was a writer and editor for St. Anthony Messenger for over 30 years. 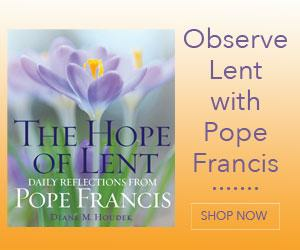 His books include Friar Jack’s Favorite Prayers and Saint Anthony of Padua: His Life, Legends, and Devotions.